Our goal is to get you “found” on the web — but we don’t stop there. 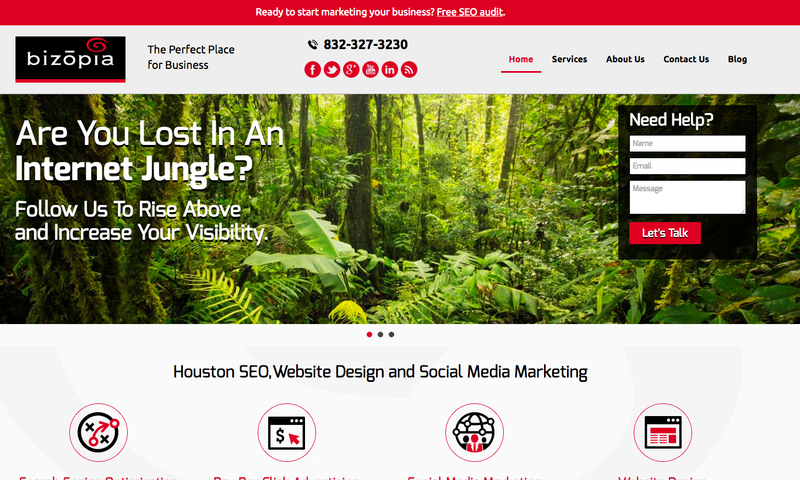 We specialize in search engine optimized businesses in Houston, Texas and surrounding areas like Sugar Land, Katy, Pearland or really, anywhere in the country. Not attracting new customers? Let us take a look at your site and we’ll give you a FREE website evaluation. We can design a new site, redesign your current site, or perform SEO strategies that naturally attract and grab NEW customers! Just what you need, right? We build web sites that encourage visitors to inquire about your company, services and products — remember, your success is our success.